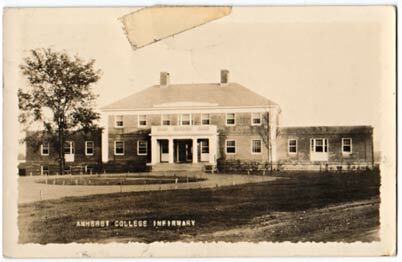 The College Infirmary was built in 1938 with a bequest from Arthur Milliken of the Class of 1880. It replaced the Pratt Health Cottage, which had served as the College's health center since 1899 (King, 324). The College later converted the building into a dormitory, named Milliken House. 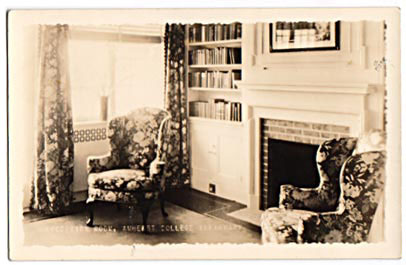 A strange postcard showing the waiting room at the Infirmary, complete with plush chairs, matching drapes, and fireplace.